Holly and Jeff emit a colorful energy so this street-level moment is perfect. Holly’s bright blue dress matches exquisitely with Jeff’s blue shirt and white jacket. 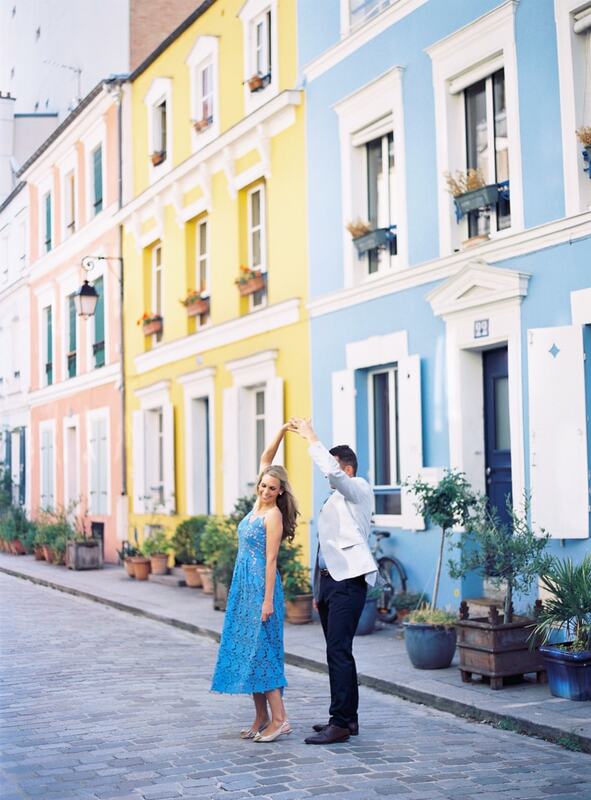 Their charming and lively appearance echoes the row of colorful homes along the street. They dance and embrace along the street in a carefree manner before moving on to other corners of the famed city. Holly changes into a chic white blouse, black pleated skirt, and black heels. Her fiancé accompanies her and during this black-and-white portion of the shoot, they emit a chic Parisian vibe. Next, the couple changes into formal attire for the most show-stopping part of the shoot. Holly looks dynamic in a lace pink dress with a delicate neckline and silver heels. Jeff impresses in a black suit and white button down shirt. The Eiffel Tower peeks from behind their shoulders as they pause along the Seine. With a cloudless sky, these two enjoy the gentle sunlight on the city, never failing to smile and wrap themselves up in the romance. 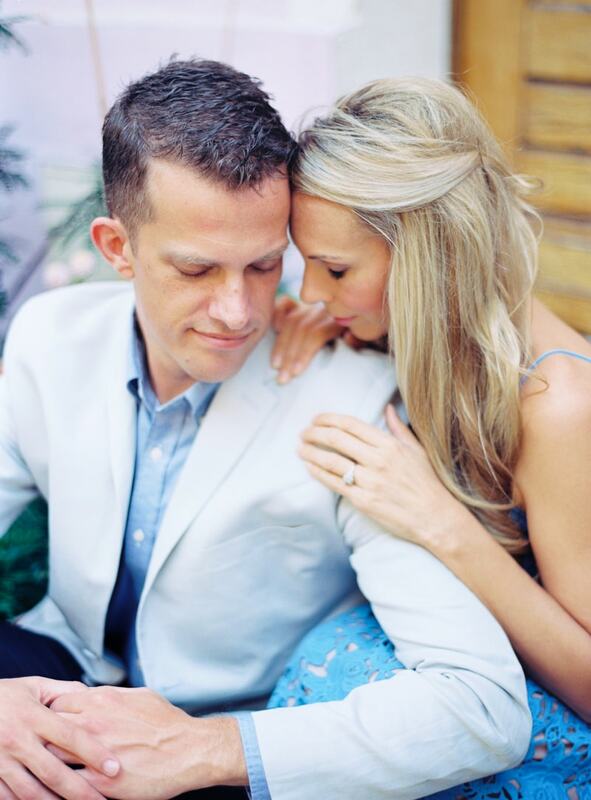 This engagement shoot not only captures Holly and Jeff's love for one another, but also, the city of Paris. Long after their engagement, they can look back on this collection of photos and remember the feelings they had in such an unforgettable place. Much like the Eiffel Tower, it will always be there.